I’m only thirty, but I personally witnessed a time when China’s now car-clogged streets were full of bicycles instead. Such has been the rapidity of China’s transformation, sparked by the rise of Factory China. In the quarter century since I first sat in that car, China has gone from producing 2% of global manufacturing output to 25%. Over that time China’s GDP grew thirtyfold, and 750 million people were lifted out of poverty—the most ever achieved in a single period in the history of the world. China went from being poorer than Kenya, Lesotho, and Nigeria to rivaling the United States for the title of largest economy in the world. But as impressive as these statistics are, to me, the real signs of development are all the small, everyday occurrences that can only delight people who have known life without them. My favorites: Sprite is no longer considered a rare treat, just a mundane soft drink. People now stand in lines at the airport instead of jostling one another relentlessly. Stores now provide toilet paper in their bathrooms. And no one thinks it’s anything special to ride in a car anymore. As these changes were unleashed by China becoming the current Factory of the World, I grew up in the United States, and then went to live in another part of the world. After college, I taught eighth- and ninth-graders in a village in Namibia, in southwestern Africa. During a staff meeting, the principal of my school strong-armed me into running the school shop. Having no clue as to what I should be selling there, I asked at the end of one of my classes if any students would like to go with me—in my car— to the wholesaler an hour away to buy things for the shop. A burst of shouts was accompanied by an eruption of arms into the air. Every single kid wanted to go. More than a few trailed me home, begging me to pick them. I thought it was funny—and familiar. I knew this longing to sit in a car, and the novelty of actually doing so. Cars— and Sprite— and toilet paper— may sound like very materialistic ways of defining development, but people who have these things tend to forget how much they are markers of modernity to those who don’t. Americans and Europeans can be casual about sitting in a car, but to my child self in China, and to my students in Namibia, it was a thrill. The appearance of such material goods in a society heralds the possibility that people can adopt new selves, new ways of being in the world: as consumers and producers in the modern global economy. As a volunteer teacher, I was responsible for five classes of math and English in a public school in rural Africa. Nothing is less controversial than the inherent goodness of teaching children and the notion that an educated citizenry is essential for a country’s development. 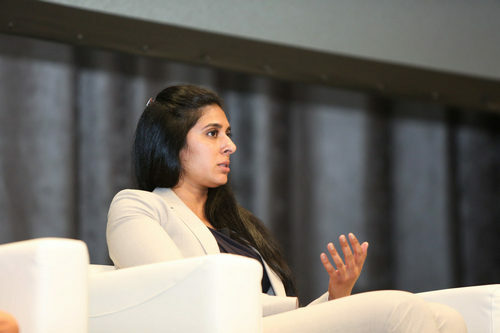 But several months into my job, when I was brutally honest with myself, I could see no connection between my daily work and the chance that these bigger transformations would occur. Most of my pupils were the children of subsistence farmers, and the vast majority of them would become subsistence farmers themselves. Some days, the absurdity of what I was doing would hit me: I was teaching irregular English verb conjugations to future subsistence farmers living in an arid plain where no one spoke English in everyday life. I spent a year bearing witness to the things that are wrong and unfair in our world today—children dealing with the brunt of HIV/AIDS, environmental degradation, poverty—and I had nothing to offer. Africa today is not defined by poverty: it is characterized by promise and optimism. The idea that education was the key to my kids’ future seemed empty. That felt sacrilegious at the time, but I sensed that my teaching reinforced rather than expanded the ways in which Africa relates to the world. Receiving wisdom from foreigners who supposedly know better: it’s an old trope, dating back at least to European colonial ideology in Africa, and it has never worked. What else would it take for African countries to pull off the transformation I had seen China make in my short lifetime? Strangely, it was on a blind date that I began to encounter a new reality. A Chinese man from whom I regularly bought vegetables insisted that I come over for dinner one weekend to meet his “good friend.” I agreed, mostly to stay on good terms with my vegetable dealer. His friend turned out to be a self-made Chinese man who had come to Namibia at age seventeen and founded a string of successful businesses. He was nearing thirty, rich, and wanted to find a wife, yet very few Chinese women would agree to live in Africa. He did his best to impress me with fresh sea-food that he’d arranged to be trucked in sixteen hours from the ocean, but it soon became clear that he was illiterate. It didn’t help when he and all his friends pulled out their guns at dinner. The conversation—boisterous, over cases of beer—revealed that he was like many other Chinese businessmen in Africa: a pure capitalist, with seemingly little regard for the welfare or rights of locals. And yet I was struck that this man might end up doing more to help the people in my village than my own well-intentioned efforts. I taught children skills that were theoretically useful for a way of life that no one here actually lived. He created real jobs with real paychecks. In so doing, and probably without meaning to, he opened up new ways of relating to the world for thousands of Africans: as workers, as clients, as partners, even as worthy adversaries. Which one of us was making a difference for Africa? This is not a romance story—I never saw the man again—but that seed of a question stayed with me. It eventually led me to spend years studying Chinese investment in Africa, knocking on countless factory doors, sweet-talking reticent Chinese owners into letting me onto the premises, and cajoling them into trusting me with their stories. I’ve visited more than fifty Chinese factories in Africa and talked to numerous Chinese businesspeople involved in other African sectors, along with a hundred-odd African workers, entrepreneurs, government officials, journalists, and union organizers who are partnering with and responding to Chinese interest in their countries in a variety of ways. It was on one of these research trips in eastern Nigeria that I had my aha! moment. At the end of a long, hot day of visiting factories, I showed up at the address of my last appointment and found myself in a courtyard ringed by buildings painted blue and white. The blue of the walls matched the blue of the heavy industrial trucks parked in the courtyard, and something about that blue tugged at a half-buried memory. All in a rush, I realized that this blue felt familiar because it wasn’t just any blue—it was FAW blue. I was standing in a brand-new FAW truck factory in Africa. FAW had come a long way since I first sat in one of its cars, twenty five years earlier. It had sold 18 million cars and counting in seventy countries, and employed 120,000 people in the process. That awkward child of Sino-Soviet planning, saved by German investment, was now all grown up and building factories in Africa. Chinese factories in Africa: This is the future that will create broad-based prosperity for Africans and usher in the next phase of global growth for a large swath of the Chinese economy. This is what will make Africa rich and achieve a dramatic and lasting change in living standards. To be clear, Africa today is not defined by poverty: it is characterized by promise and optimism with eight of the ten fastest-growing economies in the world over the next decade projected to be on the continent. The rise of manufacturing is not an altogether happy story. Up close, it’s often ugly. But just as it is wrong to cast Africa in the tired stereotype of pitiful, hopeless destitution, it is problematic to ignore the fact that more than half a billion of the poorest people in the world still live in Africa. Over the past half century, Africa has been the premier testing ground for multiple waves of Western ideas about poverty alleviation. To be sure, Western development programs that help with things like educating children are important for other reasons, but they will not create 100 million jobs and lift half a billion people out of poverty. If we are serious about raising living standards across this vast region of the world, it is time to try something new. 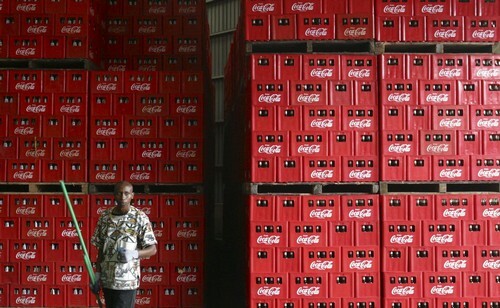 That something new has already started moving to Africa: factories. Factories are the bridge that connects China, the current Factory of the World, to Africa, the next Factory of the World. Over the past fifteen years, Chinese factories have been driven out of China by rising costs, and many have landed in Africa. Chinese companies made a mere two investments in Africa in 2000; they now make hundreds each year. 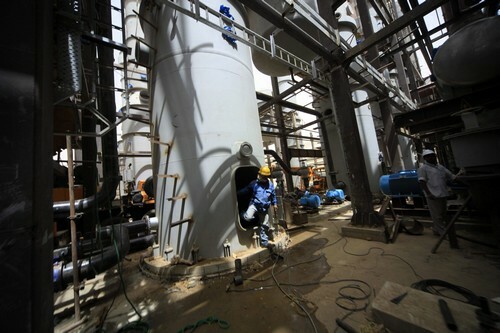 I recently co-led a large-scale research project on Chinese investment in Africa at the global management consulting rm McKinsey; our fieldwork in eight African countries uncovered more than fifteen hundred Chinese firms engaged in manufacturing. Some of these companies are attracted by the rapidly growing domestic markets in countries like Nigeria, which will have a population larger than that of the United States by 2050. Carmakers, construction materials producers, and light manufacturers of consumer goods are all entering the market, hoping for their share of the opportunity. Other Chinese firms have a different business model: they take advantage of Africa’s comparatively low labor costs to produce goods for export to developed markets. 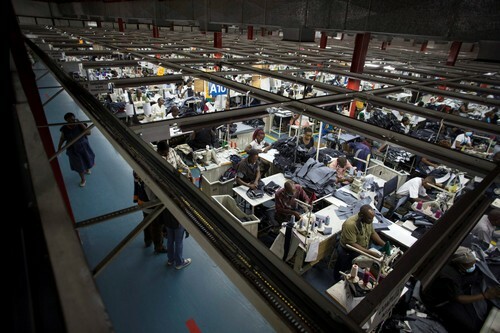 In Lesotho, Chinese garment factories make yoga pants for Kohl’s, jeans for Levi’s, and athletic wear for Reebok. Almost all of Lesotho’s production is trucked out and packed onto container ships bound for American consumers. This movement of factories matters, because when factories arrive en masse, prosperity soon follows. 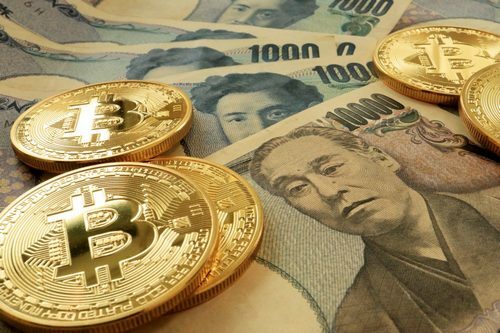 From Great Britain at the dawn of the Industrial Revolution in the eighteenth century, to America in the nineteenth century, to Japan and other Asian countries in the twentieth, factories have restructured entire economies toward a new, lasting level of wealth. That’s because manufacturing, unlike agriculture and services, engages mass labor in highly productive ways to participate in the global economy. It’s also because on an individual level, industrialization allows subsistence farmers enmeshed in highly local systems of exchange to transform themselves into consumers and producers in the global economy. China itself—with its corruption scandals and thick, smog-ridden air—provides ominous examples of the social and environmental consequences of unbridled economic expansion. Industrialization unleashes powerful new forces for harm as well as for good, and these are already evident in Africa today. Africa has the chance not only to repeat the sort of industrialization that has come before, but to improve on it. Although industrialization in Africa will certainly have a dark side, another certainty is that the continent will experience industrialization differently than China did. African countries and societies do not resemble China, economically, politically, or socially. Although factories in any new place lead to a set of predictable changes—from rising incomes to labor scandals—the form, sequence, and flavor of these changes vary considerably. In Nigeria, the course of industrialization is shaped by reports from a free press; in Lesotho, by a strong union movement; in Kenya, by tribal and ethnic loyalties—all of which are largely absent in China. Indeed, in the encounter between Chinese investors and a whole host of local African actors—workers, suppliers, distributors, governments, media—new types of organizations, partnerships, and power structures will be invented. Through this process, Africa has the chance not only to repeat the sort of industrialization that has come before, but to improve on it—if this can’t obliterate the seemingly unavoidable trade-offs between development and democracy, economic growth and environmental health, then perhaps it can at least make them less stark. The theme may be old, but the story will be new. Reprinted by permission of Harvard Business Review Press. 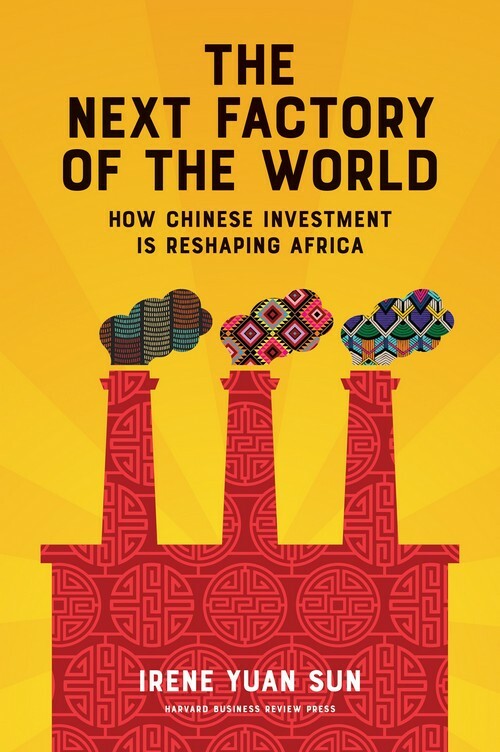 Excerpted from The Next Factory of the World: How Chinese Investment is Reshaping Africa. Copyright 2017 Irene Yuan Sun. All rights reserved.